Louis de Breda Handley, considered as one of the pioneers of US Water Polo and swimming, was born in Rome in 1874. He came to New York in 1896 and joined the Knickerbocker Atheltic Club then the New York Athletic Club, where he competed successfully in Football, Water polo, Yachting and Swimming. 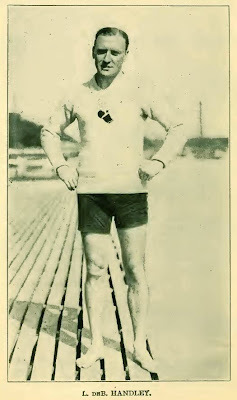 In the 1904 St. Louis Olympic Games, he won gold medals in both Water Polo and relay swimming as a member of the winning U.S. teams.